Brand New Legendary 42' Wesmac Finished by All Marine Group to be built with a realistic time frame delivery March 2019! This particular boat has many unique options like the bulkhead leading to the cockpit will go up and down with the touch of a button to open the entire boat in seconds, custom Rod Storage that doubles as engine access like never before seen. You will be extremely impressed. New State of art Electronic Single 850 HP Cat to give her an honest 26 knot cruise with offshore Fuel capacity. The new 850 Cat is rated from 850 hp to 1000 hp at 850 hp rating she will be fuel efficient and not too hyped up. Time to select electronics as well as colors. Pricing is aggressive enough to ensure a great investment. We have references from other customers we have finished Wesmacs for. We are working very closely with Wesmac to come up with a winning configuration of power to weight ratio to ensure performance, economy & Longevity. Please read my bio I worked for Cummins, Cat & Detroit Diesel, engine selection Got a LOT of time and energy. she will have a Generator, Air Conditioning w reverse cycle heat, Windless, Wash downs, Fish Boxes, Rocket Launchers, Hull Color of your Choice Via Awlgrip, Quality Helm Chair. We go the extra mile every where you look at one of our finished ones you will see the quality we put into the finish work on these remarkable sea boats. This build slot will not last if you want a legendary Wesmac with a yacht finish please call Now. We will make the entire process easy and fun. The plan is to build a fast but efficient boat, 27 knot cruise is attainable while keeping the fuel consumption manageable via single engine & keeping her weight down. Wesmac's amazing sea keeping has to be experienced to be appreciated. 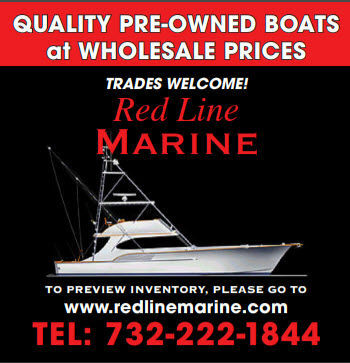 Many say simply the best Sea Boat on the planet, Absolutely indestructible boats with roots in commercial boats that have seen over 50,000 hours and still doing it every day. All documents say Wesmac because we buy brand new hulls w stringers, house, topsides from Wesmac then finish them to our customers requirements. Main Pic is sister ship, other photos are her, hull and topsides being laid up at Wesmac Facilities.